Today was a big day for Elio Motors, the startup automaker that seeks to build hyper-efficient three-wheel cars at a former GM truck plant in Shreveport, La. They unveiled their latest prototype and announced their North American suppliers in Michigan today. Meanwhile, things aren't so great for them back home. Elio Motors' Facebook page says that today's announcement in Michigan kicks off a tour in which the car will be shown to the public for the first time ever. The first stop on that tour will be next week in Shreveport, where the company is hoping to build the $6,800 three-wheeler that they say will get 84 mpg on the highway. Caddo Parish Commissioner John Escude says they have in their reserve trust about $50 million in royalties from the Haynesville Shale, that could be used to help Elio get cars on the road. "If we can responsibly and reasonably make this thing happen then we're going to give it our best shot, we owe it to the citizens of this parish, nobody is going to come in here and hand us these kind of jobs, we have to work to get them," Escude said. Elio still needs tens of millions of dollars before they can commence production, the TV station reported. Previously the parish opted to assist a steel company, but doing so for Elio would require a significantly larger sum of money. If the parish decides to go this route, it would be in addition to the $150 million in tax incentives over 10 years that the state government has promised to Elio when and if it hires people and begins production. But the parish may not have a better option. Shreveport was hit hard by the closure of the GM truck plant during the Carpocalypse, and many people in that community are counting on jobs at Elio. State lawmakers already seem well on their way to approving use of the car without a helmet. According to Autoweek, Elio already has 13,000 pre-orders for the car, and they are hoping to sell 250,000 of them annually, something CEO Paul Elio conceded was a "nutty number." For the sake of the people in Shreveport who need work, and because the Elio seems like a pretty interesting vehicle, I am really hoping this will work out. But we've seen lately how tough and expensive it is for new automakers to get their products off the ground. Who knows. 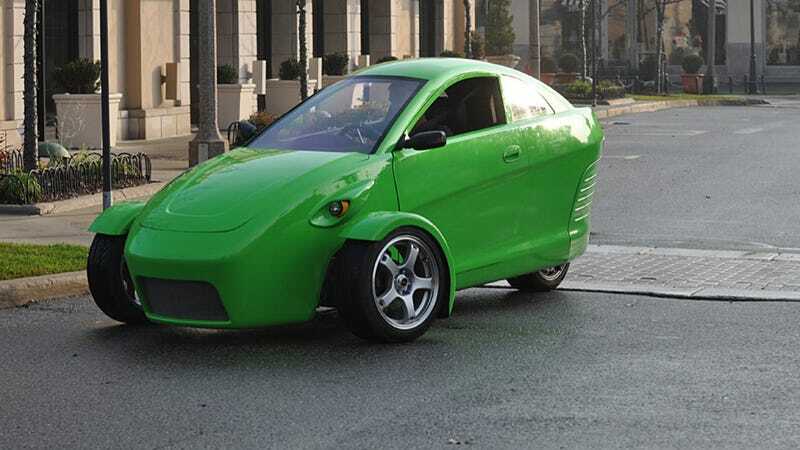 Maybe the Elio's bargain price and niche appeal will work in its favor.